TUNED E. B. E. G#. B. OPEN E CHORD. 25 FRETS. Very Long Strings - 130cm/51"
1st .010" Plain Steel Loop-End. 2nd .013" Plain Steel Loop-End. 3rd .018" Plain Steel Loop-End. 4th .024" Nickel Round Wound Loop-End. 5th .010" Plain Steel Loop-End. 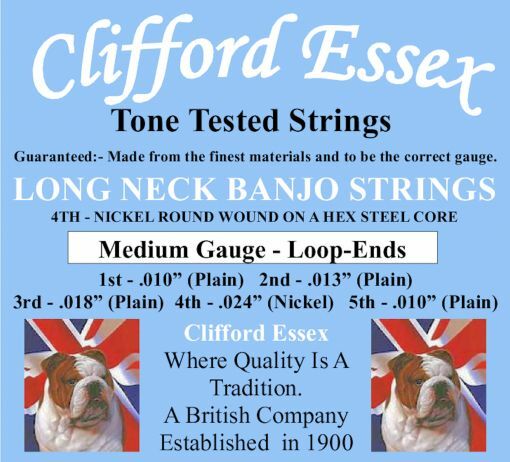 Strings 3 Sets: 10% Discount. (+£13.60) No Thanks.